Haven Hall and South Asian House will no longer be program houses during the 2019-2020 school year, and Japanese Hall will move to occupy 79 Lawn Avenue. Each year, the Office of Residential Life (ResLife) assesses existing program houses based on criteria such as the quality of programming, occupancy rates, House Manager (HM) performance, house commitment, and recruitment. To hear more in-depth student interviews about the closing of Haven Hall, check out the Wesleyan Argus Podcast’s most recent episode. Citing low demonstrated student interest, the Undergraduate Residential Life Committee (URLC) has decided not to offer Haven Hall as a program housing option for the 2019-2020 academic year. 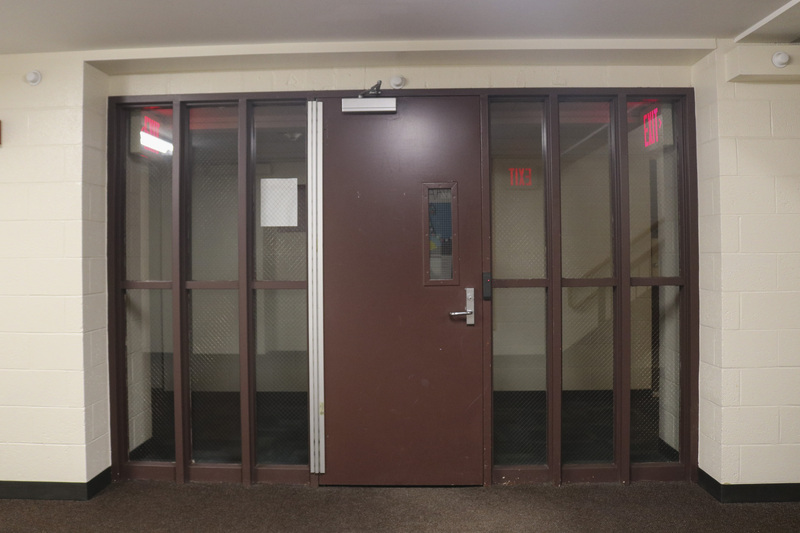 Only 5 of the 12 students living in the hall, located on the lower level of Nicolson 6, elected to live there through program housing this year, and only three students had accepted their offers to live there this upcoming year, according to Director of Residential Life Fran Koerting. The idea for Haven Hall came from former Recess House resident Jennifer Gagné ’19 in 2016. Recess House, which was no longer offered in the 2017-2018 academic year, was advertised to serve students who would have to live on campus over break, including athletes and international students. Gagné saw a need for a similar type of housing that would be available over breaks, whose mission would explicitly be to support first-generation, low-income (FGLI) students, undocumented students, international students, and housing-insecure students. Gagné notes that Haven Hall provided students who did not live in the hall with people to talk to if they identified with one of the five communities the hall intended to support and more broadly started conversations about navigating predominantly wealthy spaces. Gagné said that students came to talk to her with questions about navigating housing insecurity and finding non-University housing over the summer. Current Haven Hall resident Ricardo Vega ’21 sees the hall as one of the few support systems available to FGLI students. In discontinuing the hall, the URLC, comprised of Residential Advisors (RAs), members of the Wesleyan Student Assembly (WSA), and administrators pointed to low student interest and the high proportion of boarders—students who are placed in the house by ResLife—as the reasons why they were discontinuing the house. Nevertheless, they are open to potentially reviving Haven Hall in a different form. Without Haven Hall providing a living option for FGLI students, Vega emphasized the importance of opening up conversations about class in other spaces as well. Japanese Hall will be relocating to 79 Lawn Avenue from the lower level of Nicolson 5 for the upcoming school year. In the 2018-2019 academic year, the hall received 16 applications and was able to fill all 10 spaces, and in the upcoming year, all eight spaces in the new house have been filled. Residents in the hall are heavily involved in Japanese culture, whether it be through language or pop culture. As it currently operates, residents do not have to be Japanese to live in the hall, so Japanese Hall HM Sandy Kanjanakuha ’21 sees Japanese Hall as providing important representation that can help the broader campus community understand Asian culture at large. “Because Asian cultures are very close to each other and the influence has spread to East Asia, Southeast Asia, and South Asia, I think it’s a good starting point for people to understand Asian culture to a greater sense because it’s been incorporated a lot into the pop culture,” Kanjanakuha said. Currently, the hall holds events like study nights with Japanese snacks, karaoke, and movie nights with mochi. In the new house at 79 Lawn, Kanjanakuha anticipates easier access for students to become educated about Asian culture, given that Nicolson 5 is inaccessible for much of campus because students must have ID access to the dorm in order to swipe in. South Asian House at 73 Pearl Street will not be offered as a housing option for the 2019-2020 school year. While the current five residents were enthusiastic about the programming, current South Asian House HM Gita Ganti ’21 said that the greater student body lacks the interest to maintain South Asian House as a housing option. Throughout the year, the house hosted numerous events such as a street food fair, movie nights, and a chai and samosas night. With their final months in the house, Ganti says the current residents will continue to make the most of the house. While location may have deterred potential residents from applying to the house, Ganti said that the lack of applicants does not reflect the prominence of the South Asian community on campus. “If there’s not enough enthusiasm about keeping this house on Wesleyan’s campus, I don’t think it reflects the lack of appreciation and popularity of South Asian culture because we see South Asian identity as bolstered in so many other ways, like Shakti’s presence and panels,” Ganti said. Ganti expressed hope that one day, with enough student interest, South Asian House could return to a more central location on campus.